I stared at the thick glob of sludge at the bottom of my coffee cup. 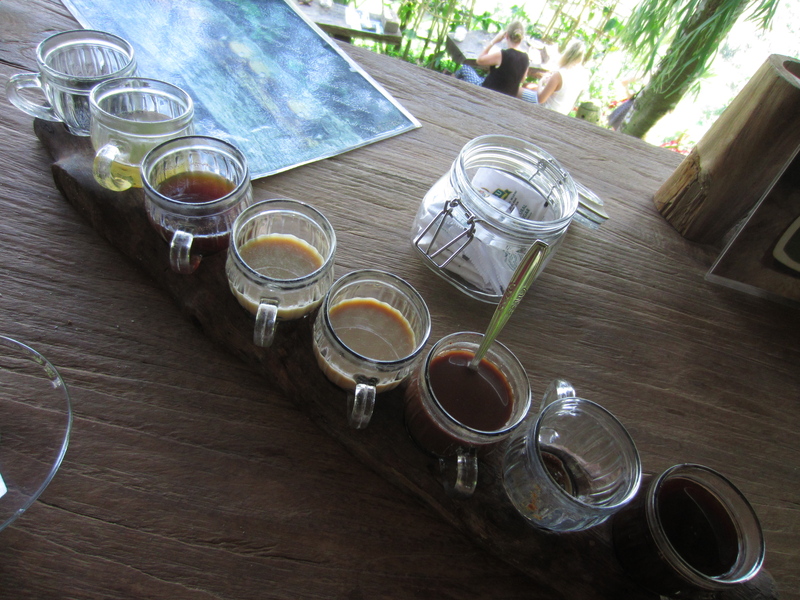 This was the Balinese way of serving their coffee, unfiltered. But not bad, not bad at all. 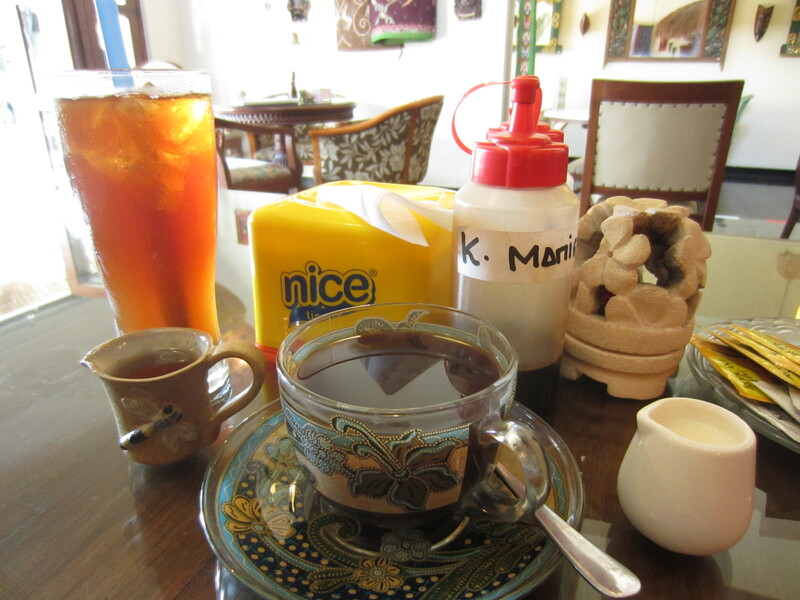 Over numerous cups of Balinese coffee, I did a lot of pondering. Mostly about Bali. There are many places to see on this tiny island, some with high expectations and famous reputations, others quiet and undisturbed, but all of them interesting. I enjoyed that cup on the island of Nusa Penida. Never heard of it? I don’t blame you, it’s not a hot destination. But it could be. The coffee tasting platter had delivered the hot dark brew with twists of vanilla, chocolate and ginger. This was coffee country now, the tiered farmlands of Ubud. I couldn’t wait to see some rice terraces! But my expectations were thrown to left field somewhat here. What I thought was going to be a farming community with a small town centre was actually a car-choked hotel-developed town, lashed with a couple of bar streets and shopping avenues. Jack’s cup came from the hands of a skilled barista that would have been the envy of any coffee snob Sydneysider. Yep, in the picture you see, the barista even signed his name and that of our waitress. My stepbrother felt bad to destroy such coffee art. No matter; such service was typical of Sanur. This ‘Kuta for the oldies’ was my favourite place to relax, eat, and sleep. The last cup was served in a beautiful glass mug. This Seminyak shop was unique, like some kind of exotic antiques dealer, with gorgeous hand crafted woodwork and pottery for sale. It didn’t sell the tacky fridge magnets, gawdy bumper stickers and Bintang singlets that were omnipresent along this most popular corner of the island. Through all the tat and touts, we were happy to have found a little corner of authentic Balinese craft. I’ve got a couple of blog articles brewing (hehe, brewing) in my brain which I plan to publish over the next few weeks. I’d like to cover all the places I mentioned above. Stay tuned! Yeah, pretty stunning stuff isn’t it! 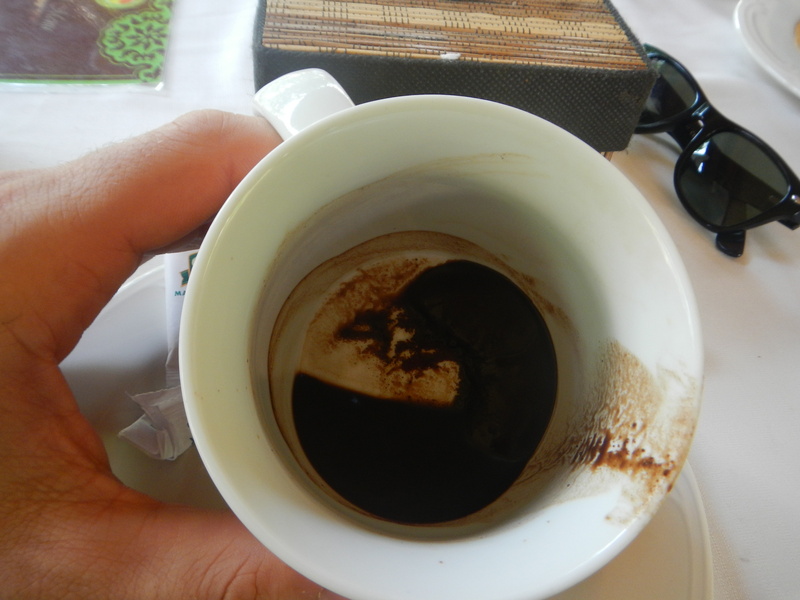 Did you try kopi luwak? It’s basically coffee made from seeds ingested by civets. I was brought to try this when I was in bali but not really a coffee drinker though. I bought a pack for my dad to try and it was pretty steep!! No I didn’t actually try it, it’s pretty expensive! I will one day though! 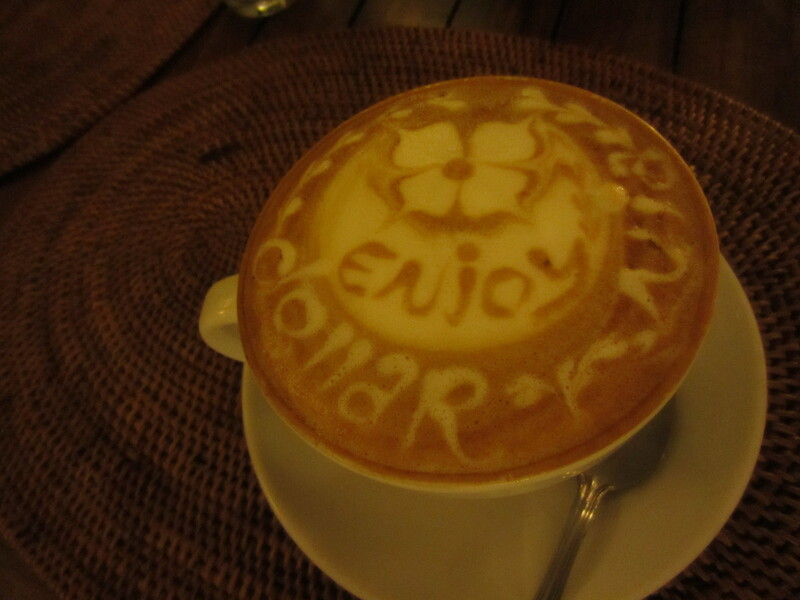 Ah, I love the coffee in Bali! It is especially nice since so many Southeast Asian countries serve Nescafe. I just got back from Indonesia and I can’t wait to read more about your travels in Bali!